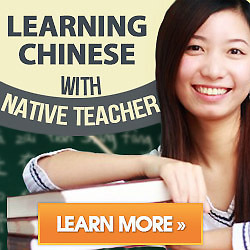 The Survival Mandarin Chinese method is easy, we just start talking. I already had like a very small base of Chinese. So we just start talking, it went really slow at first. When i want to say something i don’t know how to say, my tutor tells me how to say it and i write it down in pinyin in my notebook. Then my tutor just starts talking for like a long time, and i write down the things that I don’t understand that she said. She tells me how to spell it in pinyin and what tones to put on it. We practice whole sentences as much as possible. the conversation changes based on what i need. One class period we went to the city science and tech market and bought clothes and i just tried to pick up all i could of what she was saying. When i go home i spend a little time looking over what i wrote and i try to use the vocabulary. By the way, this method is really great for getting good very fast, i call it SURVIVAL MANDARIN CHINESE. In reality, will that help me? No. I need to learn how to communicate where i want to go when i get into a cab. I need to be able to learn to order food to go. I need to be able to ask my apartment manager about the broken shower. How best to do this? Just start talking. Maybe this works for me because i had a base of a few phrases and words already. When i want to say something i cant say, let me try to figure out how to say it. When i get it wrong, my tutor tells me how a Chinese person would say it and i write it down in pinyin. When i get tired of that i just listen to her speak, when i hear something i don’t understand, we write it down in pinyin. Trust me, language is about everyday usage, daily practice and survival, not about amassing a long list of nouns you will not use often, like “actor” or “blue jeans”. If you aren’t walking away with something written down that you can use that day, then it is a waste of money.